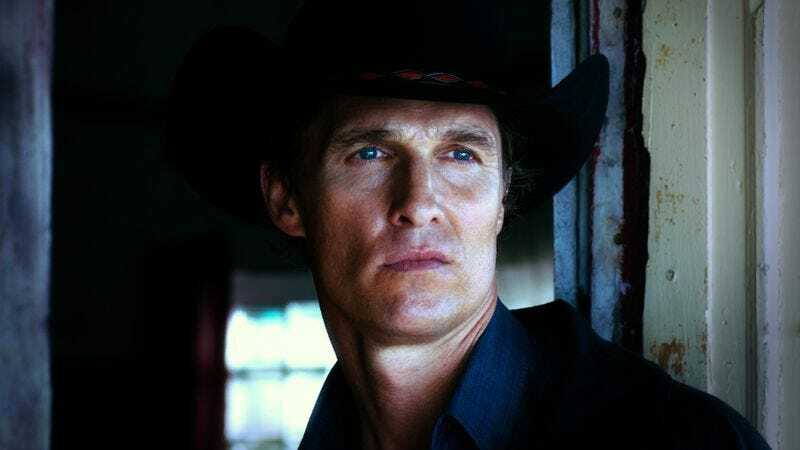 Matthew McConaughey has slowly but surely shucked the mediocre romantic comedies that for so long clung to him like a suffocating shirt, and unexpectedly had one of the best years of his career with recent turns in Bernie, Magic Mike, and Killer Joe. Now he's reaching another apex by landing a role in Martin Scorsese's The Wolf Of Wall Street as the mentor to Leonardo DiCaprio's unscrupulous stockbroker. He joins a cast that's already both impressive and kind of crazy diverse, including supporting roles for Kyle Chandler, Jonah Hill, The Artist's Jean Dujardin, The Walking Dead's Jon Bernthal, and Rob Reiner. As for McConaughey's part, we can only assume that DiCaprio is seduced into playing fast and loose with the rules of finance by McConaughey's southern drawl, which we imagine could make even securities fraud sound pretty all right.